The OHSU Center for Women’s Health Circle of Giving, a group of philanthropic women who pool and target their resources to advance women’s health research at OHSU, have announced the recipients of two research grants for 2017. 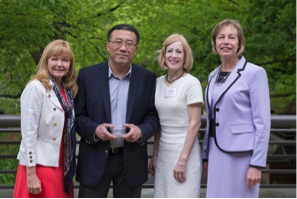 Award recipient Wei Huang, Ph.D.
Wei Huang, Ph.D., (left photo) from the Advanced Imaging Research Center will receive a $125,000 grant. Dr. Huang proposes to develop a safer, faster and lower-cost MRI exam that can detect breast cancer with high accuracy and can be used following positive mammographic findings to improve diagnostic accuracy and reduce unnecessary biopsies. His goal is that the MRI exam will be about ten minutes and will not require the need for contrast injections, which currently make MRIs more expensive and unsafe for some women. 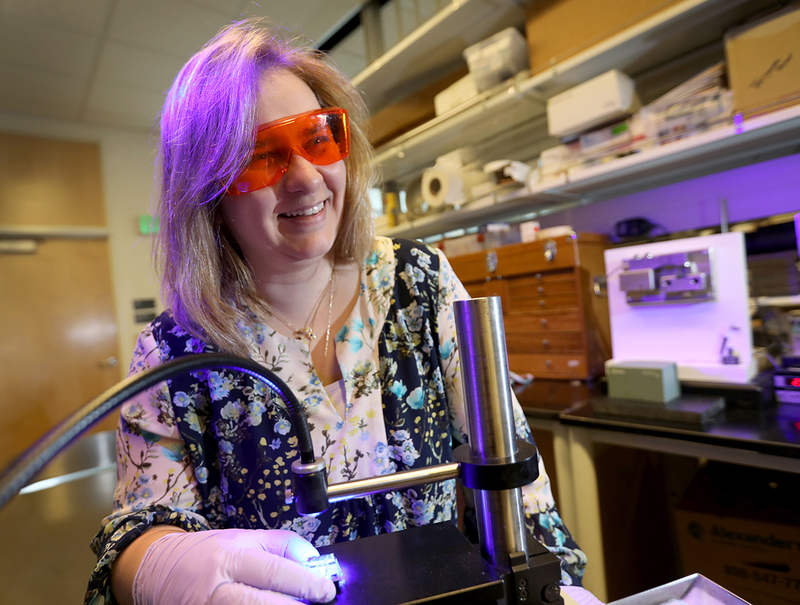 Award recipients Kimberly Beatty, Ph.D., and Jim Korkola, Ph.D.
Jim Korkola, Ph.D. and Kimberly Beatty, Ph.D., both assistant professors of biomedical engineering, OHSU School of Medicine, will also receive a $125,000 grant. They propose to use new molecular technology to investigate drug resistance mechanisms in HER2+ breast cancers. The technology will allow them to tag and track the locations and interactions of breast cancer receptors, in cancer cells. This research could reveal new information about why patient responses to treatment varies and identify new opportunities for treating drug-resistant, HER2+ breast cancers. 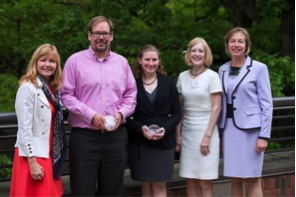 Since its founding in 2006, the Circle of Giving has awarded almost $2 million in grants to OHSU researchers doing important work in the field of women’s health. A total of 18 grants have been awarded, including some smaller grants for focused research and equipment. The Circle of Giving is unique in the United States. It is the only giving circle of its kind: focused exclusively on women’s health research. The Circle of Giving grant is open to OHSU researchers who wish to launch new ideas and innovations in a broad range of women’s health issues. The next grant cycle will begin in December 2017. Please contact Casey Conrad for more information about submission requirements.